Please welcome Tray Ellis as she discusses the inspiration for her stories. Welcome, Tray! Inspiration for stories can come in a blinding flash, a dream, an image, a feeling, or a host of many other ways. I’m grateful for fortuitous moments—characters wave hello, plots obligingly reveal themselves, and perfect beginnings and endings are effortless. Frustratingly, most of the time, it doesn’t happen like that. My writing comes more like conscientious rock-wall building. Imagine those picturesque stone walls scattered across farm-country, keeping the sheep in, delineating land ownership. The end product might be lovely to behold, but it takes considerable planning to piece it together. (Or I like to claim so—rather, it is more likely to be scattered tatters that I quilt together. Shhh, don’t tell on me!) So as I cobbled together the different elements of “How Sweetly the Whippoorwill Sings”, there was a little bit of luck thrown my way. Second, I was idly listening to the radio and one of the news stories was about the difference between love and lust in the brains of people who were having MRI scans done. They were shown photos of their own loved ones and then also photos of people (celebrities/actors/etc.) who were incredibly attractive. The MRI scans were clear – different areas activated for lust versus love. I was intrigued. This is the meat-and-potatoes for romance writing! Why do we fall in love? Must it be lust? Can we transition from lust to love and back again? And a thought for some other story, some other day – does this mean you could scientifically prove to someone that you love them? Or suffer the consequences if you found out that your affections don’t run as deeply as wished? 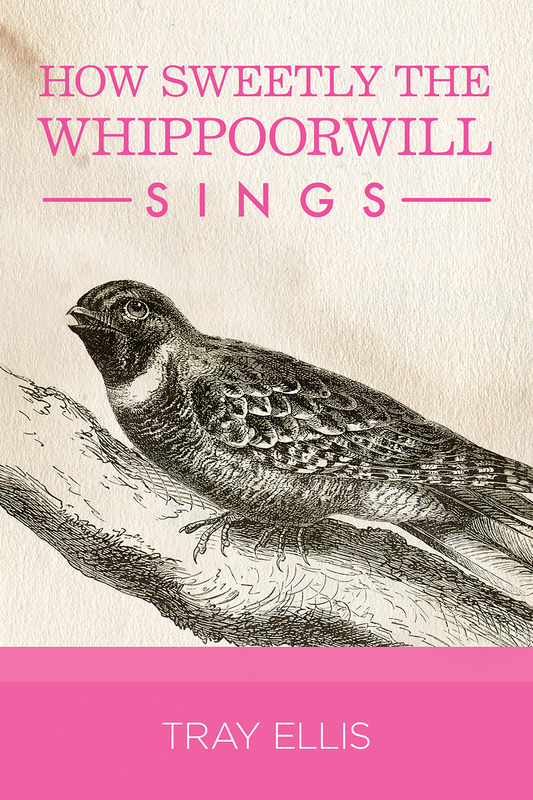 Whippoorwill was meant to be a charming, happy story, and that wasn’t a road I wanted to travel down with those characters, but it certainly offers so many opportunities for other types of drama with other characters. Still, I couldn’t resist having Everett and Jake talk about it a little. Not only is it an important topic scientifically, but it is important for everyone who tries to listen to what their heart saying. On the day of Molly and Irving’s wedding the usual hiccups and snags happen, but Irving’s best man, chemistry professor Everett Donnelly, is there to smooth them over, keep everyone organized, and make last minute adjustments based on the lists he keeps. If only he weren’t distracted and reeling from his strong attraction to Molly’s brother, police officer Jake Mountbatten, whom Everett first met at the rehearsal dinner. “Look at all the birds.” Everett Donnelly studied the enormous four-tiered pink and white wedding cake. It actually sparkled under the lights, and he was trying to figure out if the sparkles had been added after or were embedded in the smooth, fondant frosting. “Because Molly asked for whippoorwills, and if those aren’t whippoorwills, then we have a problem.” Irving readjusted his glasses, giving the cake a serious frown. “Molly says they have an ethereal song and are considered good luck, and a symbol of everlasting love.” Irving’s tone brooked no discussion. Sorry for the late comment, somehow I missed this post! I love your description of your writing, Tray. Mine is sometimes like that… sometimes! Thanks for the links to the articles, interesting stuff. And your book sounds like one I’d enjoy, will check it out! Thank you so much! I found the articles to be very thought provoking, and definitely concepts that I plan to come back to again for future stories.